Thank you for the interest in our company, with locations in Union City, TN. Cape Girardeau MO. & Nashville TN. 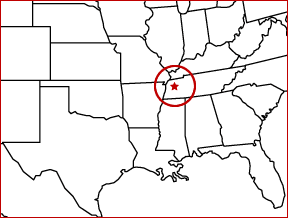 our service area covers a large portion of the central United States. We strive to maintain good communication during and after the repair process to ensure the customer every need will be handled at the highest level. It is our highest responsibility to be a team player and investigate every failure in order to help find possible solutions for reoccurring problems. It is our priority to keep the highest standard of quality workmanship which every customer needs and deserves. We will combine all of our resources to make certain we stay competitive and our customers receive the best options available to keep cost at a minimum. It is our goal here at Vaughn Electric Company to keep our customers running smoothly so together as a team we can grow and prosper in every area.